Unlike the 1871 "strike," the 1888 walkout was not over taxes on matches. It was concerned primarily with wages and working conditions and was clearly aimed at the management of the factory. 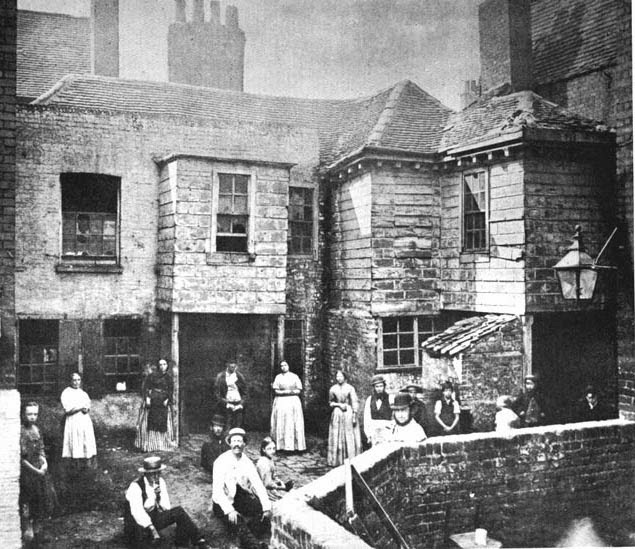 According to Charles Booth's survey of London, in the late 1880s and early 1890s there were over a thousand young women and girls employed in the match-making trades. In May of 1888, more than one-fifth of the women and girls so employed earned from 4 to 6 shillings, just over four percent earned 12 shillings or more and three-quarters of this cohort earned between 6 and 12 shillings. These figures were not much different from those attributed to Mr Theodore Bryant in The Times of 9 July 1888, that "the girls earned on an average from 5s. a week learners to 18s. per week competent hands, and in one instance a family of three earned £2 a week between them." It is hard to comprehend Bryant and May's view that the company "tried to give ... work-people a fair remuneration." Just what was the value of the earnings of the young women at Bryant and May? If we take the figure of from 6 to 12 shillings, a figure which represented the earnings of 75 per cent of the group we are looking at, and consider it in terms of buying power today, it would equate to a figure of between £29/16s and £59/12s. Clearly the company saw its first responsibility to its shareholders and evidence for this can be seen in the enormous growth in the value of the shares, more than 300 percent in less than five years, as well as a dividend rate that regularly exceeded 20 percent. For those on the lowest rate of pay, 4 shillings, even the most basic necessities of life were expensive. Bread, for a two kilogram loaf, cost around 3d a loaf and beer was more than 1d a pint. Beer was an important part of the diet since water in many of the areas was only available from a standpipe and was always of questionable purity and even more questionable quality. For those few who might have smoked cigarettes, rather than the ubiquitous clay pipe, W.D. and H. O. Wills newly launched Woodbines could be purchased at a price of 5 for a penny. Strong and rough, like the East End workers themselves, they were to become known colloquially as "gaspers." The common work-day was ten hours long and for most of that time the young women were on their feet cutting in half the long strips of wood, both ends of which had been dipped into a compound of chemicals to create the match-heads. The cut matches were then packed into boxes. The work was not steady as the demand for matches was seasonal with the greatest number of matches being required during the colder months. Since many of the women and girls were unemployed in the summer months they augmented their incomes through employment in jam factories or, in the late summer and early autumn through going hop-picking. A number of well-known and influential individuals took up the cause of the match workers, the most outspoken and prominent was Annie Besant, a socialist, writer and women's rights activist. In her Autobiography she tells how she interviewed some of the match girls and "got lists of wages, of fines, &c." The information was published as "White Slavery in London" in The Link, A Journal for the Servants of Man a left-wing, half-penny weekly. In the article she points out that the workers started at 6.30 in the summer and 8.00 in the winter. Work concluded at 6.00 in the evening and workers were allowed half an hour for breakfast and an hour for dinner. Over the poor conditions and underpayment, over the fines and long hours, there hovered the spectre of disease. The young women ate at their workbenches where the lucifer matches were made thus being exposed, even as they ate, to the fumes from the white phosphorous with which the matches were tipped. Even as late as 1888 Bryant and May were still using this deadly substance despite its effects having been well known since the late 1830s. The 1888 strike itself was provoked by the firing of one of the match girls but the tinder of dissatisfaction had been smoldering for some time. Whether the term "sweatshop" was used or not (in general it was applied to clothing manufacturing), Bryant and May ran one in their factories. The environment was dangerous and certainly unhealthy. The pay was low, the hours long and the employees were victims of abuse and without recourse. 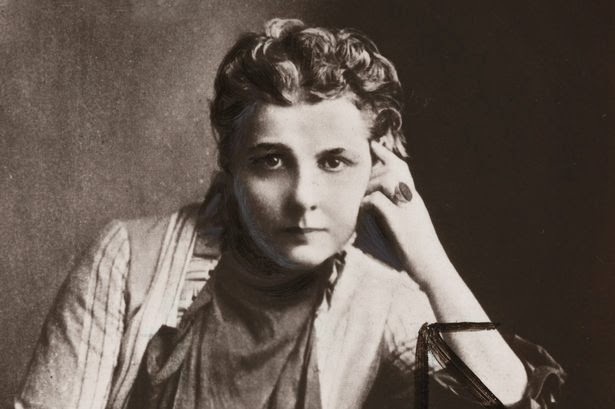 On the 23rd of June, The Link published "White slavery in London," an article by Annie Besant in which she accused Bryant and May of the worst sorts of practices. Born in slums, driven to work while still children, undersized because underfed, oppressed because helpless, flung aside as soon as worked out, who cares if they die or go on the streets, provided only that the Bryant and May shareholders get their 23 per cent., and Mr. Theodore Bryant can erect statues and by parks? Oh if we had but a people's Dante, to make a special circle in the Inferno for those who live on this misery, and such wealth out of the starvation of helpless girls. The East London Observer, a weekly paper which was, according to L. Perry Curtis, one of the "small local papers that catered mostly to the commercial or small-business classes in Tower Hamlets and environs" chose to use the term "sweated" in its edition of 30 June 1888, in which it raised the question regarding the girls, "Are they Sweated?" In the article it reported that Theodore Bryant was threatening legal action against Annie Besant. On the same day, Besant wrote in The Link that she had been informed that the girls were being bullied in an effort to find out who had provided the information that had appeared in "White Slavery in London." In the same piece, she challenged Bryant and May to sue her for libel in order to "disprove my statements in open court ... instead of threatening to throw these children out into the streets." Besant continued to goad Bryant and May. A week later she noted that there had been no sign of legal action and claimed that three girls believed by the company to be her informants had been dismissed. At this point, although Bryant and May claimed that only one girl had been dismissed and that was for matters unrelated to the complaints, 1400 girls walked out. The issue escalated with meetings being held through the first weeks of July. Although Besant's own writings tend to place her at the centre of events, Louise Raw, in Striking a Light, suggests that this was not the case and that, in effect, she came late to the struggle and left early. As for the threats to take legal action against Besant, these came to nothing. Indeed, the whole counter-offensive launched by Bryant and May seems to have little or no effect on either the strikers or their supporters and if anything, their threat to bring in workers from Scotland hardened the stance of the women. Whatever the case, Bryant and May offered to rehire the sacked worker but the striking women must have felt a sense of power when they saw how quickly Bryant and May responded in order to keep their factories working. Even so, the women were still out of work and the company continued to play "hardball." The London Trades Council then took up the cause of the match workers and with the concurrence of the Girls' Strike Committee approached Bryant and May offering its services to bring the matter to settlement. Interestingly, the first meeting between the LTC and the directors of the company which apparently did not include any representatives from the Girls' Committee appears to have been met with a complete unwillingness to negotiate. According to the East London Observer for 21 July, "The deputation urged the points on behalf of the strikers, to which the directors replied seriatim, and repeated their previous statements that they paid full current wages, and had no desire to burden their work-people." The meeting lasted for an hour and three quarters and achieved no satisfactory resolution. The following day there was another meeting at which, in addition to the LTC representatives the Girls' Strike Committee was present. By now the directors of the company had undoubtedly had time to reflect on their position and would have realised that the strikers were prepared to fight for what they believed were their rights. After considerable discussion and debate there was agreement on a settlement. This included the abolition of fines and the stopping of deductions for a variety of supplies, changes in the manner of payment and access, in the case of grievances, to the managing directors without going through the foremen. As well, Bryant and May agreed to take back all of the strikers including the so-called ringleaders and "said they would, as soon as possible, provide a breakfast-room for the girls so that the latter will not be obliged to get their meals in the room where they work." And, in what was possible the greatest concession, they "expressed a strong wish that the girls would organize themselves into an union so that future disputes, if any, may be officially laid before the firm." Surely the company could not have offered a greater capitulation and, not surprisingly, the strikers unanimously accepted the terms. The strike was over. The London Daily News, on 18 July, complimented Bryant and May for admitting "in the most handsome way that the girls were right, and that they had themselves been misled by some of their officials." The statement, of course, attempted to remove the blame from those who were most responsible, the directors of the company. Clippings from The Link related to the 1888 strike, and including Annie Besant's "White Slavery in London," can be found by clicking here. 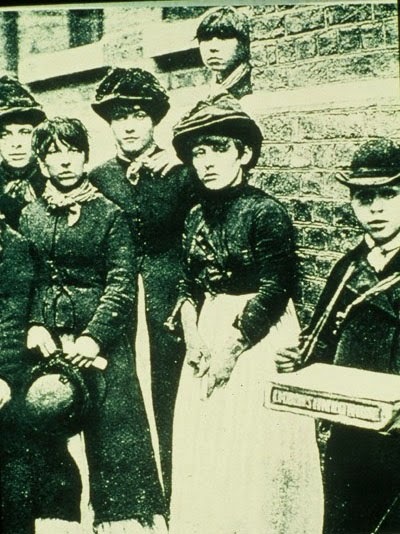 When I started to explore the match girls' strike of 1888, I was not surprised to learn that there was a long history of problems in the match trade, nor that even after the strike there were issues that were not fully addressed. As a result rather than just one blog, the exploration has extended over three. In the first one, I will look at the origins of the strike and the background of the match trade beginning with the events of 1871. The second blog will address the events of the 1888 strike itself, and in the final blog I intend to talk about the failure of Bryant and May, the manufacturers, to address a number of issues and, perhaps more to the point, the way in which they attempted to evade responsibility. And will the match trade die? "The East End is labor and poverty, chained together by the curse of our time — servitude; the City is the usurer who sells labor and pockets the profit." It was a wet, cold and dreary July in London in 1888, The temperature barely crawled to the average of 72 degrees Fahrenheit on the 23rd and only seven days that month made it to a chilly 70 degrees. On the 12th of the month there were reports of snow in the suburbs of the Metropolis but whatever the weather, it did not deter those who followed the tennis. In what must have seemed a world away from the East End, at Wimbeldon, Ernest Renshaw defeated Herbert Lawford in three straight sets to win the Gentlemen's Singles and Lottie Dod took out the Ladies' Singles, also in straight sets. It was still a month before the East End murders were discovered and the name of Jack the Ripper was to become synonymous with the gruesome murders which struck fear amongst residents, particularly women, in the East End. pestilential human rookeries ... where tens of thousand are crowded together amidst horrors which call to mind .. the slave ship. To get into them you have to penetrate courts reeking with poisonous and malodorous gases arising from accumulations of sewage and refuse scattered in all directions. ... Where there are beds they are simply heaps of dirty rags, shavings or straw, but for the most part these miserable beings huddle together upon the filthy boards. Out of the stinking, pestilential slums and out of Bryant and May's match factory came the girls and women marching for better conditions and marching into history. Not that it was the first time those in the match industry had marched. Seventeen years earlier several thousand match workers, mostly girls between the ages of thirteen and twenty, marched from the East End to the Parliament at Westminster to oppose a threatened tax on matches. The Illustrated London News effectively made the point that this was not something entered into lightly by the East-Enders. The poor matchmakers, women and children, turned out in large numbers, and may be said to have groped their way into the unknown regions of Westminster to assure some great man, of whom they had heard, that he was going to starve them, and to beg him not to do so. and The Times "Police" report quoted a witness who identified the firm as Bryant and May. In reading the various reports, one almost feels as if The Times, was reporting a different march. It described the demonstration as "attended with riots in the East-end of London and a riotous assemblage around the Houses of Parliament." But for The Times, which was in many respects an organ for the conservative upper middle classes, any march by the lower and labouring classes would probably have been seen as a threat to social stability - even when it was supported by those manufacturers opposed to the match tax. Between the 1871 "strike" and the 1888 walkout, there were at least three strikes; so, despite the claims of management that there had been peace at the factory until the socialists "forced" the strike, such a claim was, at best, dubious. Besides, from 1873 onward, Great Britain was in the grip of a major depression which was generally considered to have lasted until the middle of the last decade of the century and although the price of matches fell during this period, so too did wages. Louise Raw points out that by 1888 Bryant and May "had become such a powerful monopoly that they were able to pay wages which were lower than they had been a full 12 years earlier." But besides low wages in the industry and the maltreatment of the workers, there was the risk of that most horrible disease, phosphorus necrosis of the jaw or Phossy Jaw as it was more commonly known. At best this could lead to permanent disfigurement and at worst to a slow and painful death. 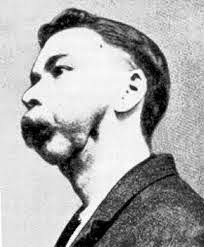 The infamous “phossy jaw” that created an epidemic of exposed bone osteonecrosis exclusively in the jaws began around 1858 and continued until 1906, with only a few cases appearing since that time. This epidemic of osteonecrosis produced pain, swelling, debilitation, and a reported mortality of 20% and was linked to “yellow phosphorous,” the key ingredient in “strike-anywhere” matches. In match-making factories, workers called “mixers,” “dippers,” and “boxers” were exposed to heated fumes containing this compound. Related to the duration of exposure, many of these workers developed painful exposed bone in the mouth. It might be supposed that the information on this foul disease might have been confined to medical journals of the day, but as early as 1852, Charles Dickens was writing about it, and its effect on those in the matchmaking industry, in Charles Dickens' Household Words for May of 1852. One of his informants told of her clothes and hands glowing at night. The financial press was soon condemning the firm for its annual reports --'the most cynically meagre and imperfect documents published by any board in the country;--and fir its insider dealings to rig the share prices for its own ends (Financial News). Clearly the company was not in good odour in the 1880s. and was being run by a narrow-minded, conservative senior director. To read Charles Dickens' article "One of the Evils of Matchmaking" in Household Words for May of 1852, click here.